Enter a URL of your favorite locale, we'll recommend 3 similar places for your next getaway. 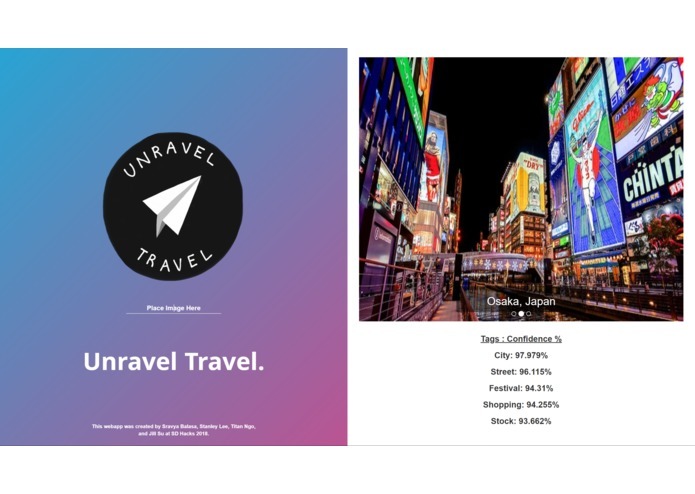 UNRAVEL the best TRAVEL! Hello! Welcome to your friendly vacation-picker. Enter our website with an online image of your favorite locale and we'll recommend to you some very similar places for your next relaxing getaway. 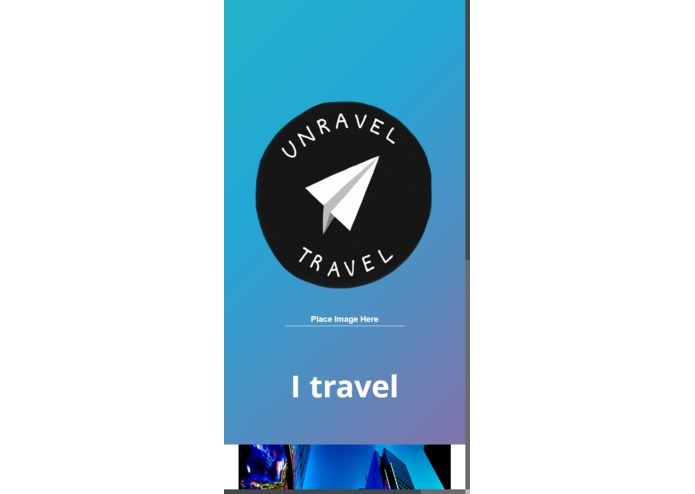 Come on over and UNRAVEL what TRAVEL is best for you! This project was created in 36 hours during a hackathon at UCSD. The team's interest in machine learning drove us to use the Clarifai API for image and video recognition. To implement a user input facility and wide range of front end and back end technologies, we developed a web application involving Python (backend) and HTML, Bootstrap framework, CSS, JS, and flask (frontend). My main role was to connect the front-end (HTML and CSS) with the back-end (Python) using Python and flask. I also helped code directly in both the front and back end. I assisted with the backend along with making changes to our web-app's page through HTML. I also created the dataset used by the web-app. It was my first time working with API's, so Clarifai's API itself was quite challenging to comprehend, use, and debug, but it was definitely a learning experience. I was lead on the backend using Python and Clarifai's API for machine learning image recognition. The connection between the backend and a new API was difficult, but was efficient and successful in the end.